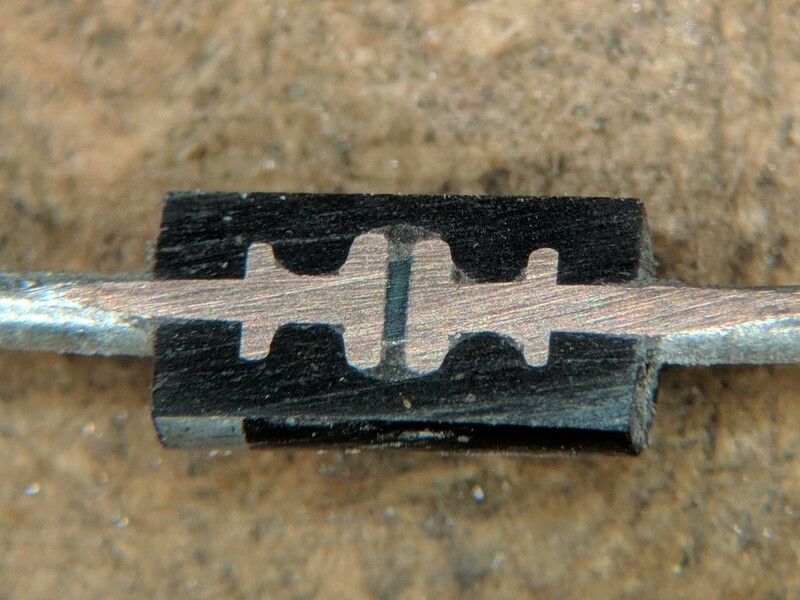 here's the cross section of a diode! it's a 1N4007. you can see the piece of silicon in the middle. the lumps on the wires help hold them in the plastic case.